Last month, we talked to AUT PhD student Ankita Poudyal about her phenomenal experience winning the New Zealand Falling Walls competition. She presented her research on surface coatings for nanofiber air filters in a tight 3-minute pitch, and took out the top prize over researchers from all around the country. Well, believe it or not, the story gets better. Part of Ankita’s prize was a trip to Berlin for the international Falling Walls finals on November 8th. She competed there against 100 other finalists from 57 countries. These are the best of the best… the best researchers, the best speakers, the best innovators from all over the world. It’s like the Olympics of ground-breaking research. Ankita absolutely smashed it, winning 3rd place in the world and taking out a “Young Innovator of the Year” award! Falling Walls is all about research that breaks down barriers. Ankita’s fellow prize-winners are using 3D printing technology to create realistic human organs for surgical training, and creating gloves that convert printed text into Braille in real-time, allowing blind people to read. Ankita’s research on surface coatings that allow nanofiber air filters to trap pollutants without compromising air flow puts her right up in that league of innovative, world-changing researchers. 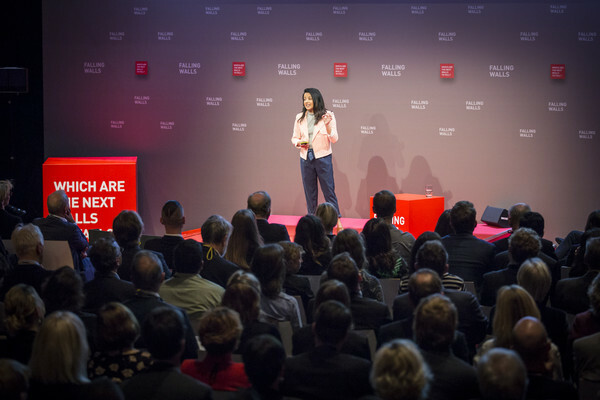 The top 3 winners at the Falling Walls final received cash prizes of 1000€, 700€ and 500€ respectively. But most importantly, the winners got to present their 3 minute pitch again at the Falling Walls conference on November 9th, on the same stage along with top distinguished speakers from Harvard University, MIT, the Max Planck Society, University of Cambridge and many more. Ankita has done AUT proud – not only by succeeding on the world stage and winning awards, but also by doing the kind of solid, impactful, and robust research that will change lives for the better. Congratulations Ankita, we are so thrilled for you!